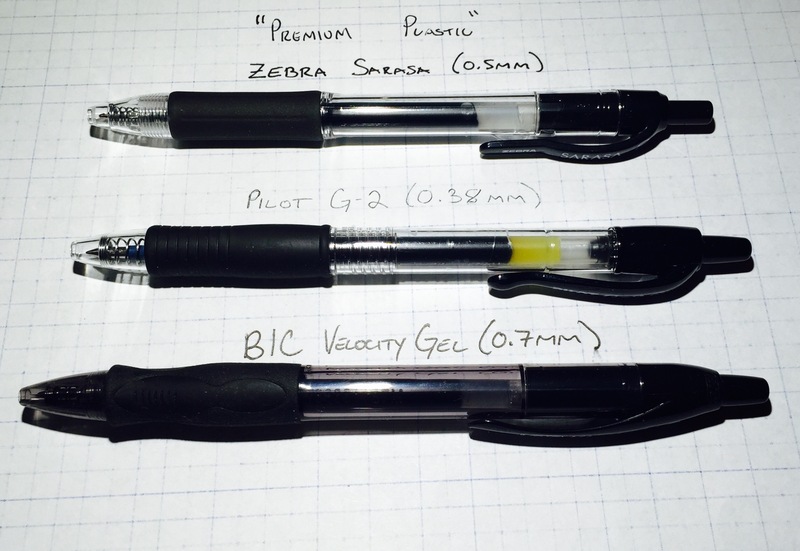 It seems that when a gel pen reaches a certain threshold of populairty, it inevitably gets a metallic upgrade: Pentel created an “alloy” version of their Energel, Pilot turned their blockbuster G-2 into the G-2 Limited, and now Zebra has made a “Grand” version of their Sarasa. The barrel of the Sarasa Grand is made of brass, and, as you’d expect, it’s a hefty pen. It is bottom-heavy in particular, so it only takes a light touch to get the ink flowing. Additionally, the Sarasa Grand has a spring-hinged clip that allows it to clip to thicker notebooks, and doing so more securely. Perceptive readers might note that Zebra makes another version of the Sarasa with a spring-hinged clip called, obviously, the Sarasa Clip. But the clip isn’t the only similarity between the two pens. Both the Sarasa Grand and the Sarsa Clip include the “Zebra JF” refill, whereas the standard Sarasa uses the “Zebra JLV” refill. The “JF” refill is darker and smoother than the “JLV” refill, so including it with the Sarasa Grand was a good choice by Zebra. The barrel comes in four colors: black, navy, pink, or (my choice) gold. There’s also a great accent on top of the knock (a little plastic jewel), and a window underneath the clip that is supposed to allow for a view of the refill’s ink level. However, the view is so limited that we’ll just have to call it a decorative window. Additionally, there are grooves on the grip section that do a good job of increasing friction, which will help to prevent your fingers from slipping while writing. Generally I really like the Sarasa Grand, though that comes with one major caveat: the lever of the spring-hinged clip extends way too far above the barrel. It sounds like a small complaint, but this lever gets in the way whenever I try to click the pen. Similarly, if you ever click your pen upside-down on a desk, it’s not possible here – the clip blocks you. If this sounds like a silly complaint, then definitely get yourself a Sarasa Grand. Everything else about this pen is good. But for me, this clip issue is annoying – not enough to make me hate this pen, but enough that it’ll probably end up collecting dust in a pen cup. The review at Office Supply Geek includes a picture of the packaging, which I think looks pretty cool. 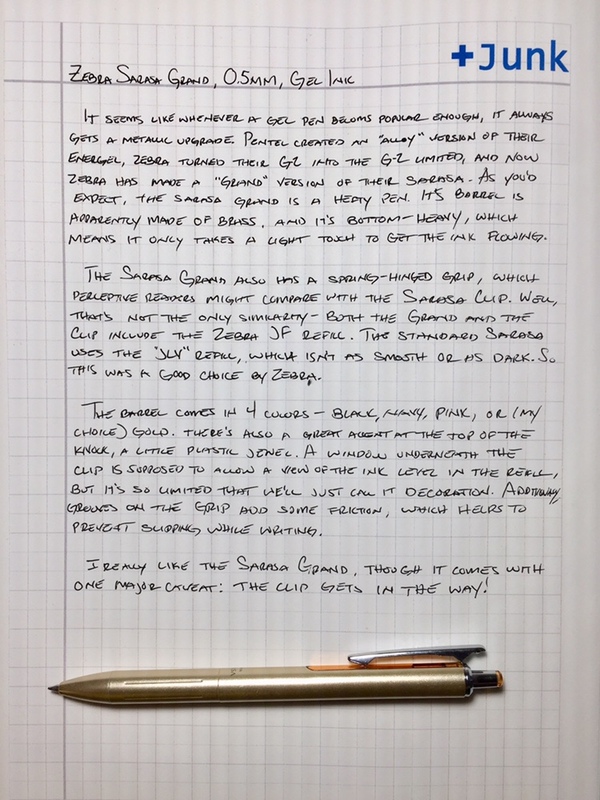 The Pen Addict has not one, but two reviews for the Sarasa Grand. Both reviewers seem to like and recommend it. The Sarasa Grand has been available in Japan since 2016, but it has only recently been available in the U.S. (aside from importers, of course). 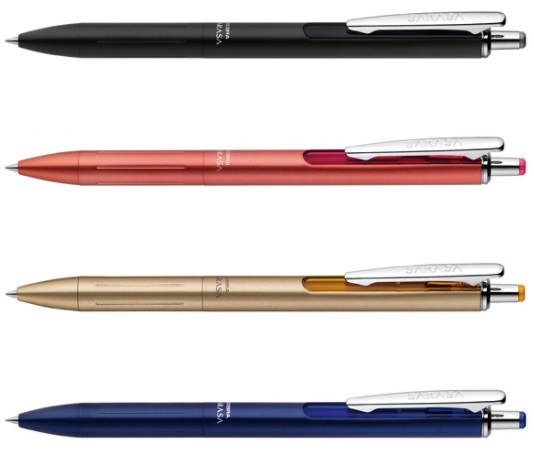 That makes me wonder: will we see more Japanese pens enter the U.S. market in coming years? The more I use pens with spring-loaded clips , the more I invariably like them. They easily slip on and off notebooks, they stay put when clipped, and the lever gives me something to fidget with during meetings, besides the noisy clicker. That’s why the Zebra Sarasa Clip has been my go-to pen for the past couple of weeks, despite being an otherwise basic gel pen. The design of the Sarasa Clip is based on the generic-looking Zebra Sarasa gel pen, and aside from the aforementioned clip, their aesthetic differences are minimal. 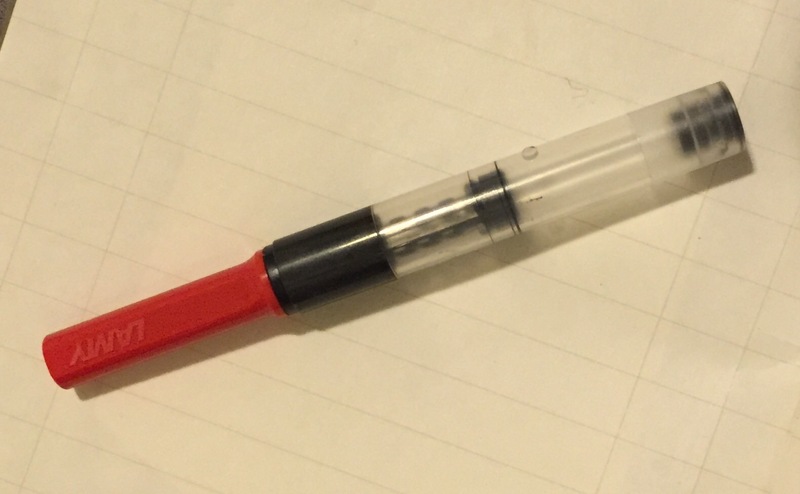 They both have the design of a typical premium plastic pen with a clear barrel, black trim, and a rubbery grip. Both pens are comfortable and reliable, but without the spring-loaded clip, the Sarasa does nothing to distinguish itself from its competitors. Still, that spring-loaded clip definitely provides extra utility that may be worthwhile depending on the situation. 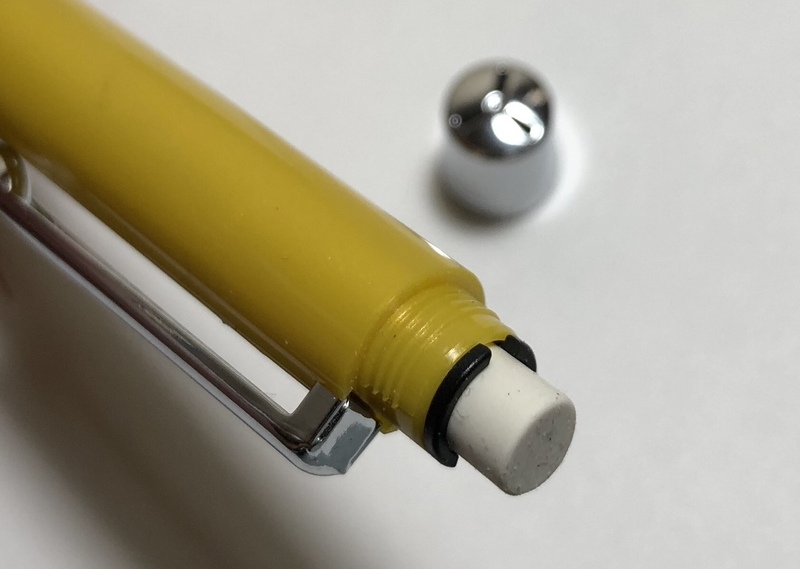 For example, if you’re a fan of the Pilot G-2 and typically need a pen while out and about, it would probably be worth trying out the Zebra Sarasa Clip. In that case, also check out the Pilot Juice. The two pens are nearly identical, so go with whichever happens to be less expensive. A review at The Gentleman Stationer mentions that the refill of the Sarasa Clip is better than the standard Sarasa. They do come with different refills – the Sarasa uses the “Zebra JLV” refill and Sarasa Clip uses the “Zebra JF” refill – and, I tend to agree. The Sarasa Clip’s JF refill seems to be a little darker and smoother. Click for a comparison. 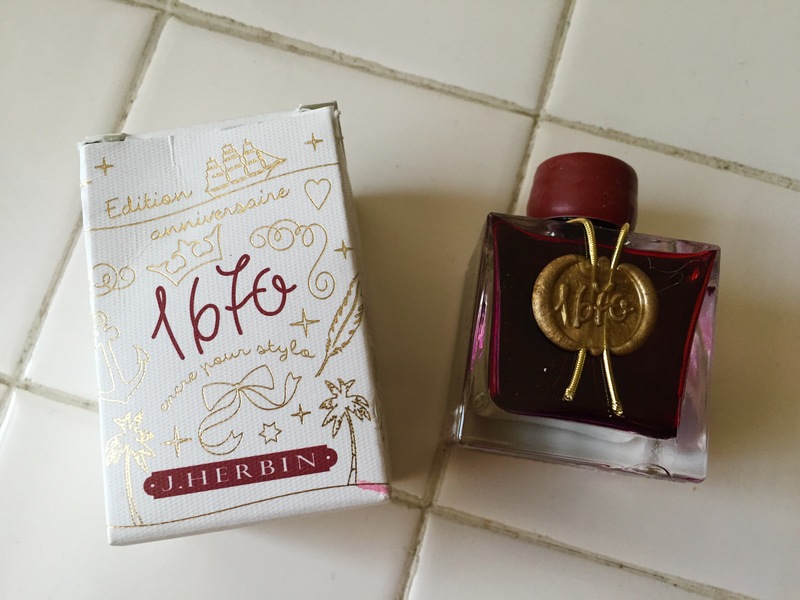 Review at Pen Addict. He says that below 0.4mm, the pen starts to feel scratchy (though he doesn’t consider that a bad thing). A review at Daydreamers Welcome shows off different Sarasa Clip colors, but she says that the lighter colors aren’t worth the money. 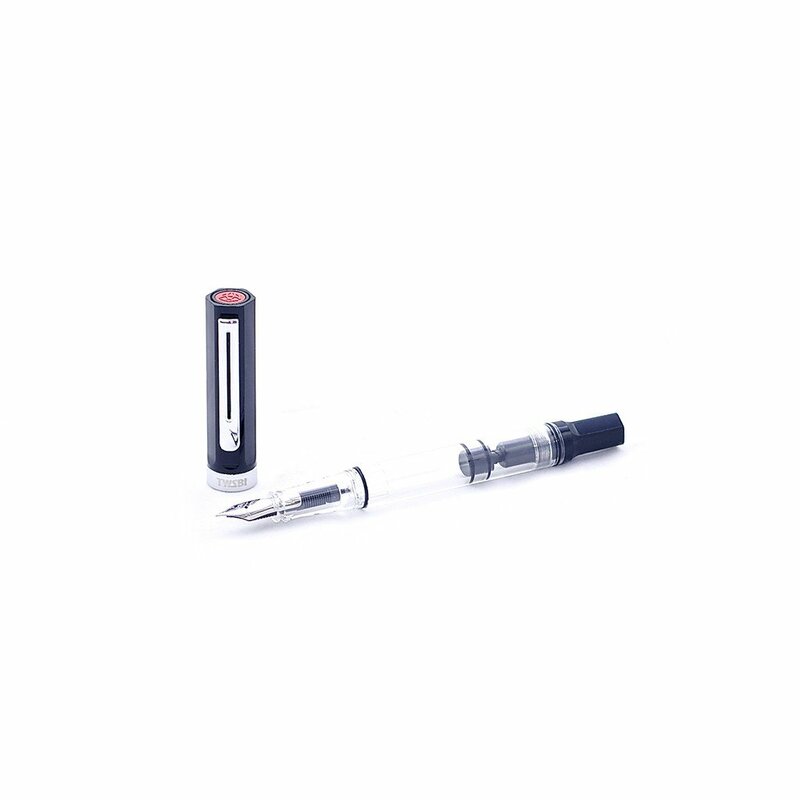 The Zebra F-701 is a stainless steel ballpoint, similar to the Zebra F-402 and based on Zebra’s popular F-301. 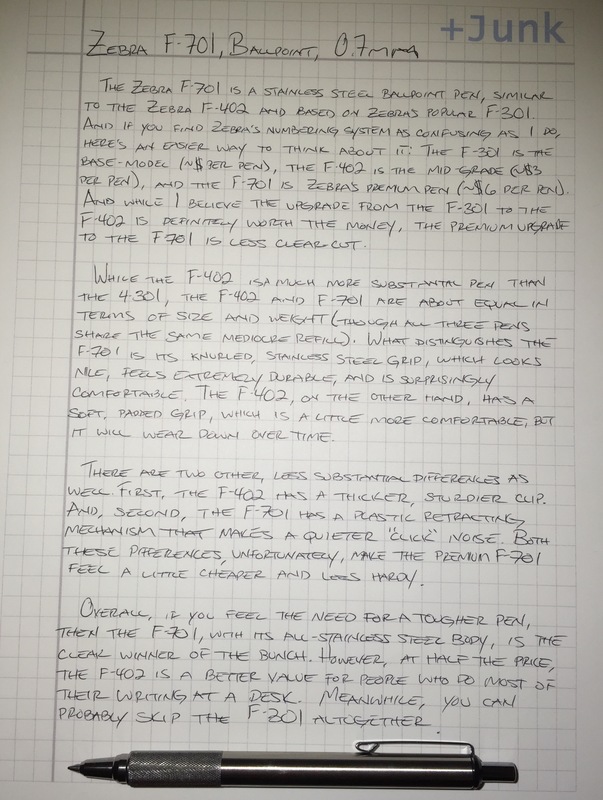 And if you find Zebra’s numbering system as confusing as I do, here’s an easier way to think about it: the F-301 is the base-model (~$2 per pen) , the F-402 is the mid-grade (~$3 per pen), and the F-701 is Zebra’s premium pen (~$6 per pen). And while I believe the upgrade from F-301 to F-402 is definitely worth the money, the premium upgrade to the F-701 is less clear-cut. The F-301 (top) has a hard-plastic grip, the F-402 (middle) has a rubberized grip, and the F-701 (bottom) has a stainless steel grip. 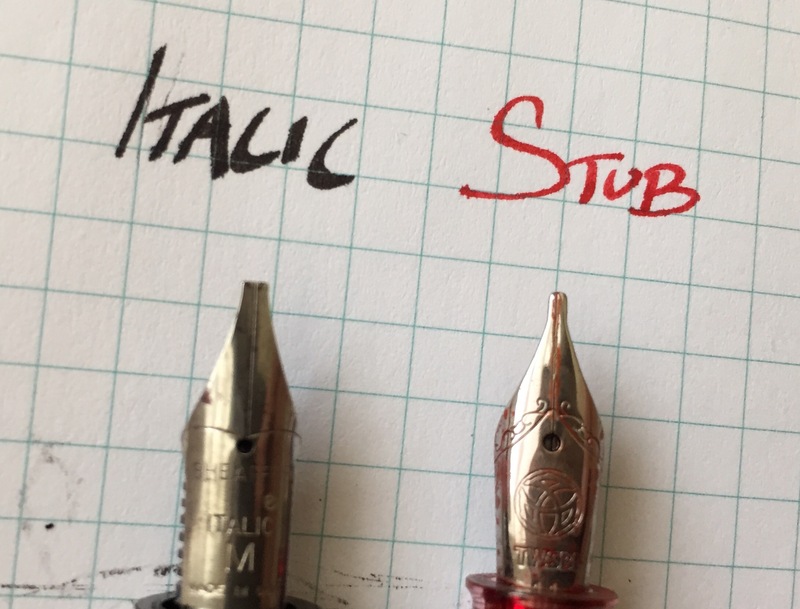 While the F-701 is a much more substantial pen than the F-301, it’s about equal to the F-402 in terms of size and weight (though all three pens share the same mediocre ballpoint refill). What distinguishes the F-701 is its knurled, stainless steel grip, which looks nice, feels extremely durable, and is surprisingly comfortable. The F-402, on the other hand, has a soft, padded grip, which is a little more comfortable but will wear down over time. There are two other, less substantial differences as well. First, the F-402 definitely has a thicker, sturdier clip. And, second, the F-701 has a plastic retracting mechanism that makes a quieter “click” noise. Both these differences, unfortunately, make the premium F-701 feel a little cheaper and less hardy. Still, if you feel the need a tougher pen, then the F-701, with its all-stainless steel body, is still the clear winner of the group. However, at half the price, the F-402 is a better value for people who are less hard on their pens, such as those who do most of their writing at a desk. Meanwhile, you can probably skip the F-301 altogether. Zebra has a lot of pens in their “stainless steel” line. In case you haven’t kept up, here are my reviews for the F-301 Ultra, the F-301 Compact, the 301A, the V-301, the R-301, and the G-301. A review at Every Day Commentary sings the praises of the F-701 as a great “every day carry” pen, though he modified his a bit to replace the proprietary Zebra refill with a Fisher Space Pen refill. And if you want to try modifying the F-701, The Clicky Post has a good guide. It also uses parts from the F-402. I’ll have to try this some day.